The unique Patek Philippe 5131J “View of the City of Geneva” just hammered for CHF1 million, with proceeds going to a Swiss charity. 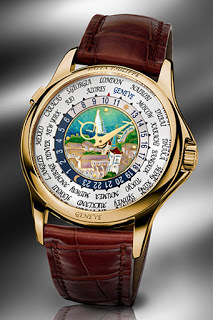 The cloisonne dial depicts the Old Town of the city. According to Patek it was bought by a Swiss client of the brand. For a closer, critical look at the regular version of the world time, look no further.